Ep. 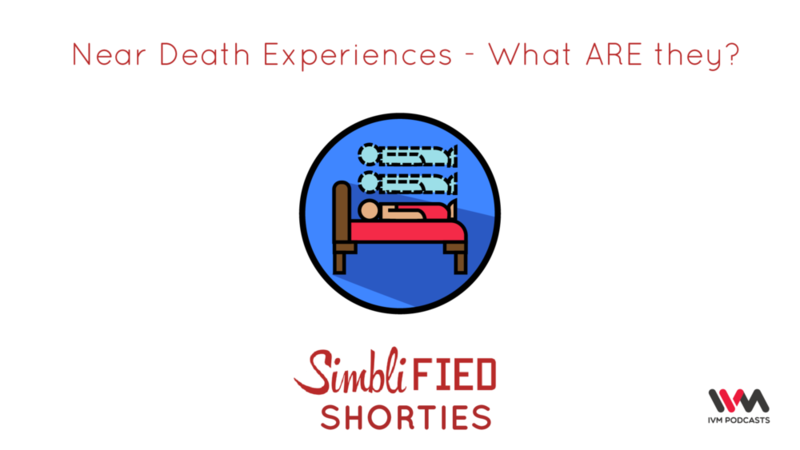 96: Near Death Experiences - What ARE they? Most of us would have seen death depicted in movies as your spirit leaving your body and going towards a light. Many people who have had near death experiences and have lived to tell the tale report similar experiences. But what are they really? Your intrepid Simblified hosts dive into this dangerous sounding subject to find out The Truth! It's an Indian podcast - probably the best to come from Malad West - that takes things that happen around us, and deconstructs them in language you can understand, often surmounting several puns and PG Wodehouse references along the way. We aim to make you appear smarter during parties, job interviews and dates. Your hosts (and Twitter / Instagram handles) are Chuck (@chuck_gopal / @chuckofalltrades), Srikeit (@srikeit, @srikeit) and Naren (@shenoyn, @shenoynv). We are part of the IVM Podcast network, who, till this day, wonder why they signed us on.